VANCOUVER – With support from the Canadian Sport Institute Pacific, coaches are taking their education to the next level and are having a positive impact on their athletes’ development. The Advanced Coaching Diploma (ACD) is the pinnacle of a coaches’ education in the National Coaching Certification Program. ACD coaches are recognized as being among the most qualified coaches and leaders of athletes and sport programs provincially, nationally and internationally. Each theme requires coaches to complete a series of modules comprised of several three hour units of in-classroom sessions, seminars, workshops or labs. The Canadian Sport Institute Pacific offers the Advanced Coaching Diploma through two delivery methods: the Canadian Olympic and Paralympic Sport Institute Network (COPSIN)-wide ACD and the UBC High Performance Coaching and Technical Leadership Graduate Certificate. Program alumni have gone on to work with organizations at the provincial, national and international levels of their sports. Charuk serves as the lead mountain bike coach for Cycling BC where he leads the top mountain bike athletes in the province. His athletes continue to make major strides in their development, with one in particular taking his cycling to another level at the 2016 Mountain Bike World Championships. Sean Fincham earned an eighth place result in the junior men’s cross-country event, exceeding the goals he set for himself heading into the competition. Using the tools learned in the Advanced Coaching Diploma, Elliot has developed a program that trains and develops national and international level skiers while also providing access to post-secondary educational opportunities. Elliot’s Telemark Nordic Club in Kelowna is already producing strong results, including an international performance never previously seen by a BC Nordic skier: Gareth Williams went head-to-head with some of the top junior skiers in the world, placing 11th at the Nordic Junior World Ski Championships. Even with a wealth of experience prior to enrolling in the Advanced Coaching Diploma, Nakonechny has taken advantage of the program to make important changes to his coaching methods with BC Snowboard Cross. Nakonechny has been part of the development and progression of numerous BC-based snowboarders in the Canadians system, including the heavily decorated Kevin Hill. 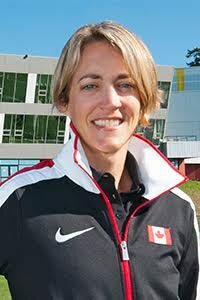 Nakonechny, who also coaches the Canadian snowboard cross development team, has coached eight of the nine national team members. The 2016 season was quite the year for Pettifer and his athletes. Jonathan Dieleman was named to Swimming Canada’s team for the Rio Paralympics, while Nic Dekker was named to the 2016 Short Course World Championship Team as well as earned a berth on the FINA World Cup Tour. Pettifer joined Dekker as a coach at the World Cup and was also named the Swimming Canada Select Coaches Group. The group receives financial support from Swimming Canada for a mentorship opportunity, with a heavy emphasis on peer learning and involvement.